Hand peeled logs, rustic beams, massive wood-burning fireplace, timber planked floors, and the warmth of furnishings from a time when life was simple. 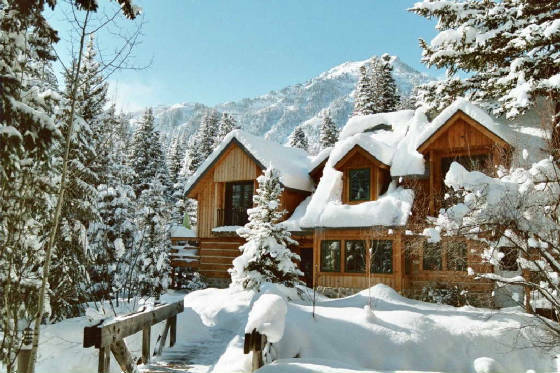 In this owner-operated vacation haven in the heart of Robert Redford's celebrated Sundance Resort, you will find three charm filled creekside dwellings. Here is where North Fork stream cascades into the sunny open meadow, where the original Stewart homesteader's chose to built their cabins, where it is still natural and unspoiled, idyllic and private, yet close to every convenience. Pump out tunes on an antique player piano for a sing-along with friends, or kickback in a comfy recliner with built-in heat and massage. 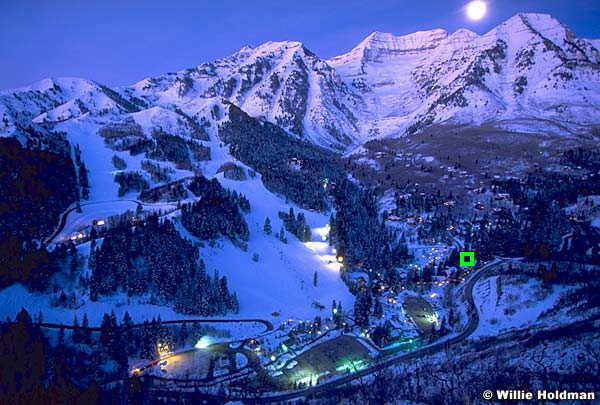 Follow the lighted footpath along the creek to the Sundance Village; find the owl bar and a cozy table near the fire, take-in a movie at the Sundance Screening Theater or enjoy an unforgettable dining experience at the world renowned Treeroom. Fall asleep to the symphony of sounds played by the gentle brook beneath your window; awake to the glorious vista of Utah's Sleeping Maiden, Mount Timpanogos with its eternal glacier. Off season accommodations start at $129/night. Regular Season rates begin at $149/night. With more Film Festival previews at Sundance, you'll appreciate the ease of access and base area convenience of the Timpcreek Enclave - only a two minute walk to the screening room theater, restaurants and country Store. Whatever your family needs, Timpcreek's small cluster of creekside vacation cottages has a place for you. Each dwelling has its own enchantment, and all have the amenities of a luxury resort. Here you will find a home away from home, with high definition, wide screen premium channel TV and hi-speed wireless internet. Relax in a jetted spa romanced by the light of a flickering fire while listening to your favorite music on satellite radio. You may decide upon one more day - but you will want to stay forever. If you are looking for incomparable value at the world's most beautiful all season resort, Timpcreek is the place for you. After surfing our website, please email to http://timpcreek@yahoo.com Tell us your requirements - arrival and departure dates, number of separate bedrooms needed, whether family members can share beds or bedrooms, how many children, their ages and gender.